Thomas Gonzalez defending Delacroix Island, Louisiana from the invasion of nutria. 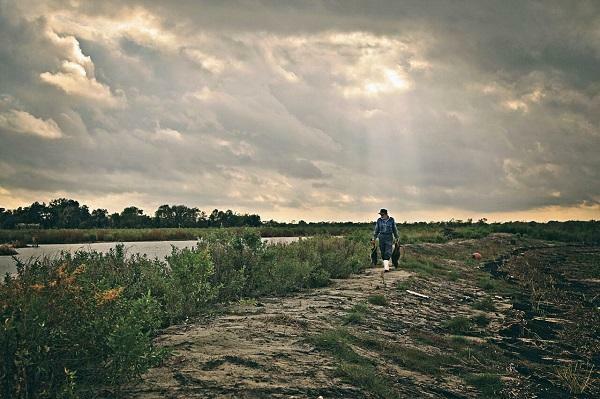 Thomas Gonzales walks the decimated wetlands of southern Louisiana. They weigh 20 pounds, have bright orange buck teeth, and look like a cross between a beaver and a rat. 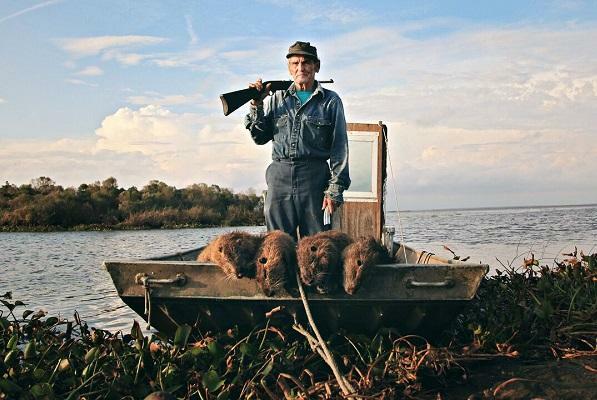 The nutria is an invasive rodent that has become a scourge on ecosystems in Louisiana and elsewhere. 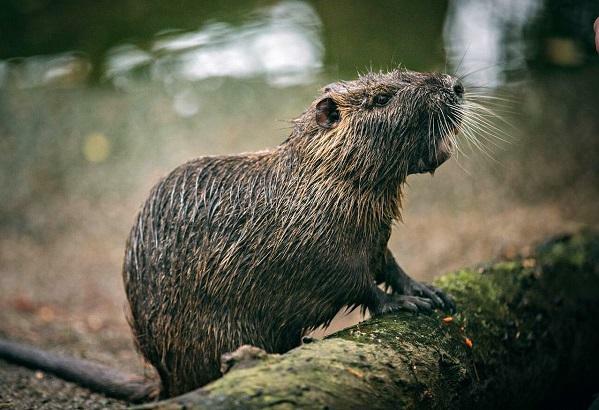 In the new documentary “Rodents of Unusual Size,” filmmakers track how nutria first arrived in Louisiana and follow the work of hunters who kill the rodents for money and to protect the environment. Host Frank Stasio speaks with one of the film’s directors Quinn Costello about his experience following the nutria trail. “Rodents of Unusual Size” screens at the Full Frame Documentary Film Festival in downtown Durham on Saturday, April 7 at 10 p.m.
"In Argentina there are natural cycles of the seasons that regulate the nutria and keep them in check so they're not a problem. But when they were brought over to Louisiana as something to augment the fur industry to provide a cheap alternative to mink and muskrat, there were no natural predators. It was pretty much warm all year. There was a lot to eat. And so their numbers grew and grew and grew." 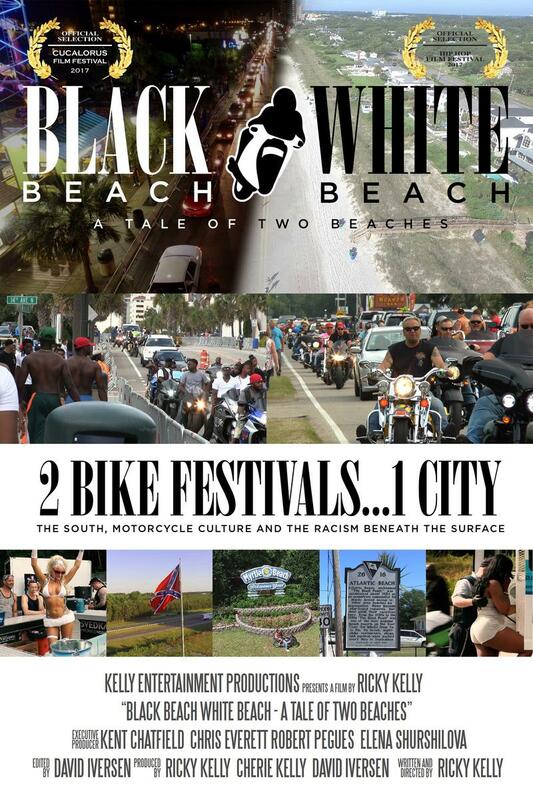 "Most importantly what they affect are efforts to rejuvenate the coast. Every time you try to plant wetland plants to try to get the integrity of the soil back to guard against things like hurricanes, the nutria will come along and just completely disrupt that." "The initial idea was: This is going to be a cash cow, and everyone's going to get rich off of this rat fur, and we're going to actually downplay the fact that it looks like a gigantic rat. We're not going to advertise that because once it's processed into its fur, it has this very lustrous beautiful feel." "They basically came up with this plan of: Well, let's get people to eat the nutria out of existence. 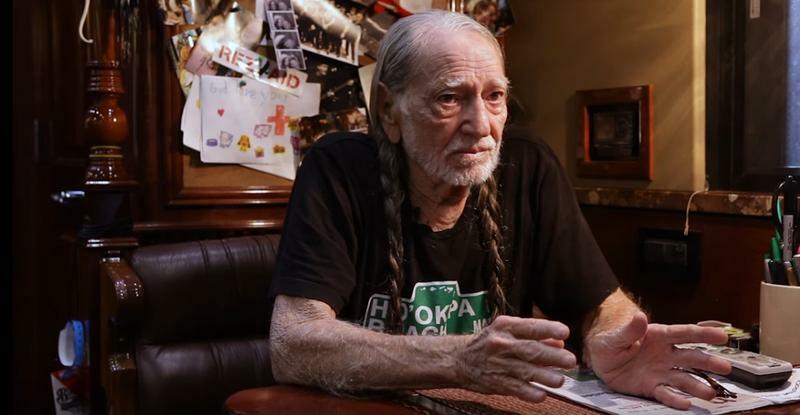 And they started working with all these celebrity chefs and started working with these public relations firms to try to get people to eat the nutria and to no avail." One of the longest running African American film festivals in the country gets underway this weekend in Durham. In the 1980s, rising interest rates, decreased farm prices, and misguided federal policies led to a crisis that hit farmers across the nation. Many farmers were either forced to sell their properties or driven to foreclose. 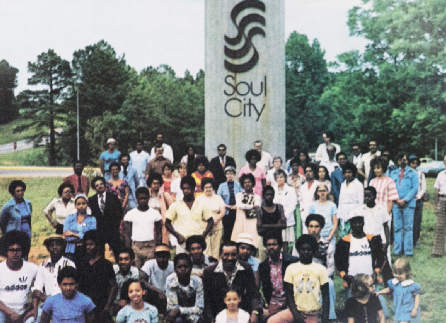 Like many utopian societies, Soul City was a dream that was doomed to fail. It was the brainchild of civil rights leader Floyd McKissick who wanted to build a haven of racial equality for nearly 20,000 people. Construction for the project began in the Piedmont region of North Carolina in the 1970s, but constant bureaucratic battles led to its demise.